It doesn’t matter whether you are a soccer player or coach. You will always be on a mission for the ideal soccer training equipment that will improve your game or that of your players. If you are an inexperienced soccer player or a star player, it really doesn’t matter. Everyone who is interested in the sport should have good soccer training equipment. It is the absolute solution to enhancing the way that you play the game. If you are in training or you are getting ready to play the big soccer game, you still need the appropriate soccer equipment. This is especially true for the success of the game. Finding and purchasing the right soccer training equipment may mean the difference between winning the soccer game and losing it. Yes, you can use the help of the coach to prepare for the game or you can take advantage of all the soccer tips and tactics that are available. However, the soccer equipment seals the deal and makes training and playing the game a breeze! Without a doubt, soccer is one of the most recognized games in sports and this is true for the entire world. In so many countries, the game of soccer is called football. However, it is pretty much similar in nature. The game is played by all genders and all age groups. People will play the sport at varying skill levels, but there are some individuals who have mastered the game. No matter the level, soccer equipment is still useful as players strive to develop and improve their game. No player thinks that their game is perfect. Most players consider the game as a way to learn new skills on a continued basis. However, prior to learning a new skill, it is appropriate to have the best soccer equipment to aid you. What soccer equipment do you need to improve your game? The first is a soccer gall. You cannot play the game without this. You should choose the size of the ball that best suits your game. For children who are under 8 years old, the size 3 balls are appropriate. From 8 to 12 years of age, children will advance to size 4 ball. Size 5 ball is ideal for anyone that is 12 years and over. 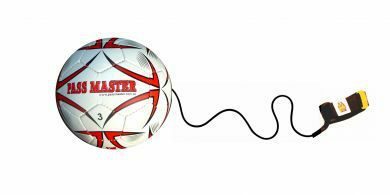 Check out our size 3 soccer training ball here.